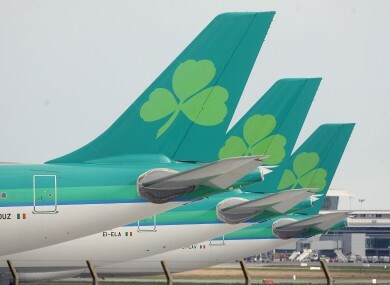 Discussions between union representatives and Aer Lingus management went on till around midnight last night. TALKS AIMED AT resolving the dispute at Aer Lingus over plans to close a cabin crew base at Shannon have been adjourned until Thursday. It follows late night talks yesterday, which concluded at around midnight. A spokesperson for the IMPACT trade union said the fact that continued discussions were being planned could be taken as an indication that some progress was being made. He said the process was being approached in a “workmanlike” manner. 87 people are employed at the Shannon Airport base. The airline announced last month that it was planning the closure, following a dispute on staffing levels for new transatlantic services, which will use smaller planes leased from another company. The union had rejected a proposal that cabin crew operate the flights with four staff members instead of five. The LRC talks are focusing solely on the issue of the cabin crew base, and not last Monday’s ballot for industrial action. Email “'Some progress' in talks on closure of Shannon cabin crew base ”. Feedback on “'Some progress' in talks on closure of Shannon cabin crew base ”.